A generation ago, in the early 1990’s Israel decided that if you build it, they will come. 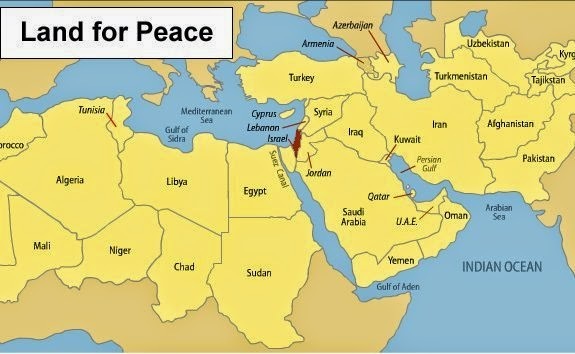 It was close, but most Jewish Israelis believed that unilateral peace overtures towards its Arab neighbors combined with expanded economic opportunities created by Israel would pave the way for the Arabs, be they “Palestinians” in Judea, Samaria, and Gaza, or Lebanese living in South Lebanon to start abandoning hate and choosing coexistence. Of course, the other half of Israeli Jews thought that this would prove to be a catastrophic folly with incalculable consequences, ranging from the merely bad to the existentially threatening. They were not silent; their voices were heard. Even when vilified by Israel’s left-leaning main stream media, even when belittled by the late prime minister Itzhak Rabin who infamously called them “propellers” evoking the propeller caps worn by less than serious people, these Israelis demonstrated, shouted, and did everything that one can legally do in a democracy. To no avail. One Utopian action was followed by another, no less catastrophic. First, large areas in Judea, Samaria, and Gaza that were densely populated by Arabs were turned over to the Palestine Liberation Organization, the group that invented modern-day terrorism and its arch-terrorist leader Yasser Arafat. Then came the abandonment of the Jewish settlements in Gaza, giving all of it to the Arabs, soon to be controlled by the Hamas, a terror organization that is even more dangerous and corrupt than the PLO, though one would not have thought such a thing possible. Finally, a middle of the night retreat from the hard-won “security strip” in South Lebanon, a thin strip of land that kept the Shia maniacs and their Hezbollah movement away from the border fence, leaving the Christian South Lebanese Army, a close Israel ally to fend for itself. It should be emphasized that the main objective of these unilateral actions by Israel, these withdrawals that (in the case of Gaza and Lebanon) were done without any agreement with the other side promising the cessation of hostilities, let alone peace, were sold to the Israeli public as measures that would lead to peace and prosperity. That did not happen. Israel’s current booming economy was not created by these actions and attacks on Israel by various international anti-Israeli forces such as the BDS movement did not diminish. There was, also, a kind of worst-case scenario that was offered to the public by the leaders of the Israeli left: Shimon Peres, Itzhak Rabin, Ariel Sharon, Ehud Barak, and Ehud Olmert. In this scenario, they argued, an Israel that has fully withdrawn to its international borders would be able to justifiably deliver enormous blows to the enemy with the full backing of the international community, since any attacks on it were clearly an aggression by the Arabs. Of all the lies told by the left and its leaders, this was the most pernicious one. Just as predicted by the opponents of these reckless actions, every square inch of ground seeded by the IDF to the Arabs, be it in Judea and Samaria, or in Gaza, or in Lebanon, was immediately used to develop the infrastructure needed to attack Israeli civilians and its strategic installations. Furthermore, every piece of land ceded to the Arabs was fortified and booby trapped to exact maximum casualties from any Israeli force trying to maneuver on it. The aftermath of these calamitous decisions by Israel in the last quarter century defines its reality today. Rocket attacks from Gaza, clearly illegal and unjustified because Israel does not occupy an inch of Gazan territory and in fact supplies it with almost everything it needs from fuel to electric power, are feebly condemned by the world community, but when Israel retaliates, the pressure it receives to avoid “asymmetric and disproportional responses” is no less than when Israel was indeed the occupier. The same situation exists in Lebanon, where Israeli insistence that when it is attacked, it is not by the Hezbollah, which is a not the ruling political party in the country, but rather by Lebanon itself as the only sovereign north of the border, fall on deaf ears. 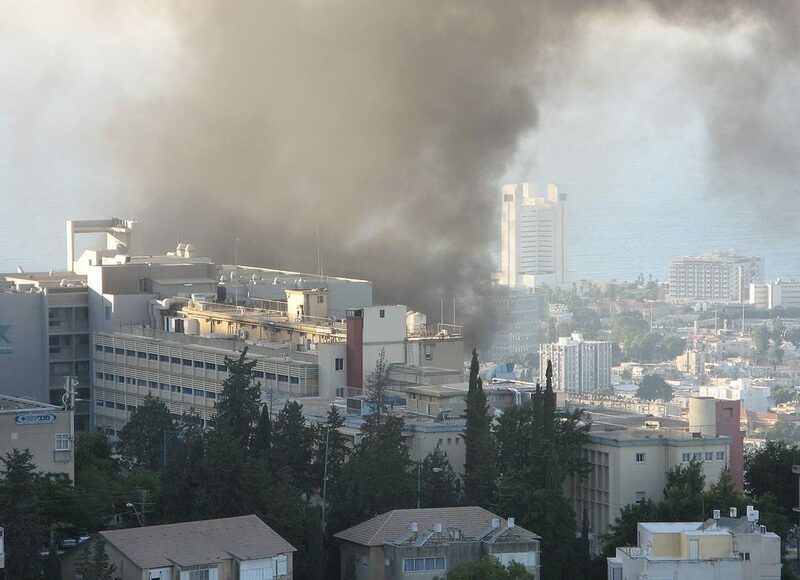 As we learned in the Second Lebanon War in 2006, Israeli attacks on Lebanese infrastructure are condemned by the international community no less now that Israel has long since withdrawn to the international border than before when it occupied a narrow strip of Lebanese territory as a means of self-defense. The last generation of Israelis saw unprecedented economic growth, a corresponding increase in the standard of living, and the acceptance of Israel, as never before, as worldwide economic and cultural juggernaut. But unlike previous generations, this is the first one that lives under the constant threat of hundreds of thousands of rockets and missiles, many of them precision-guided, that are directly aimed at every Israeli city, town, and village. Even during the 1948 War of Independence that claimed a full 10%(!) of the Israeli population as killed in action, even in the very nearly disastrous 1973 Yom Kippur war with its close to three thousand killed and ten thousand wounded, the Israeli home front was never threatened, never attacked, as it was during the 21st century engagements with the terrorist organizations in charge of Gaza and South Lebanon. Israelis, a modern people enjoying one of the highest standards of living on the globe, are also the most endangered. The high standard and quality of living and the reasonable expectation that every young man and woman in uniform will, upon their discharge from the Army, live lives full of wonderful opportunities, creates in the new generation of Israelis a distinct aversion to suffering battle casualties as a result of large-scale ground force maneuvers in enemy territory. According to a report just made public that was written by recently retired senior IDF commanders, this fear has potentially disastrous consequences. 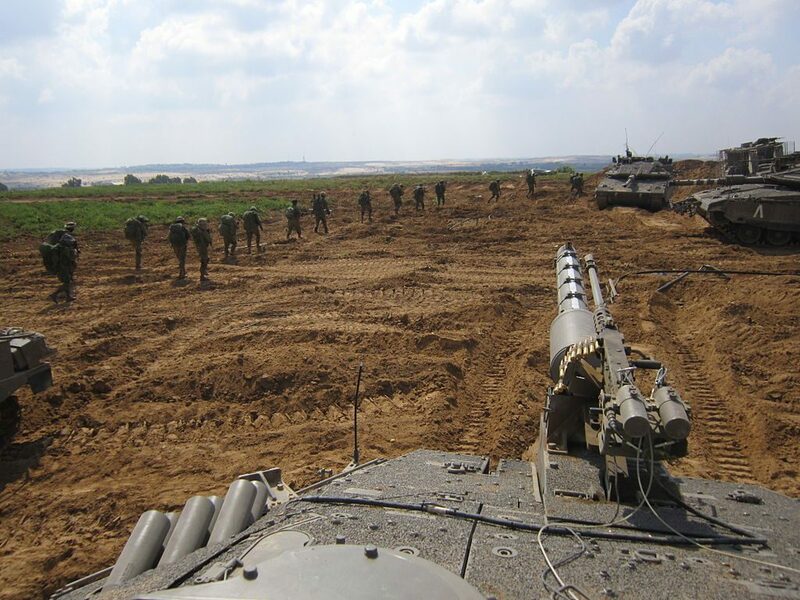 It is well-known that in any future conflict with the Hamas in Gaza or the Hezbollah in Lebanon the only way to stop massive civilian casualties and massive damage to critical infrastructure and to the Israeli economy will be a massive maneuver by the IDF ground forces: the infantry, the armored corps, and the engineering corps deep inside enemy territory. These forces will have to quickly and decisively penetrate deep into enemy territory and occupy it, first denying the enemy launch capability and then destroying his stockpiles of missiles and rockets. 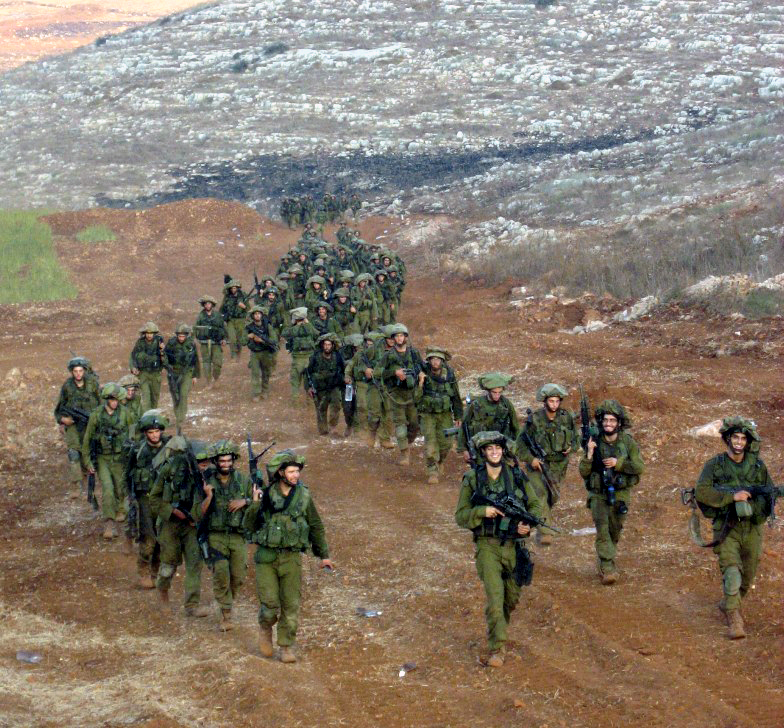 Performing such a maneuver in the booby-trapped hell that is Gaza and South Lebanon will claim hundreds and possibly thousands of casualties, something that the Israeli public is ill-prepared for. This aversion to casualties, while of course completely understandable, is a weakness that is well-known by Israel’s foes and it is precisely the one weakness that they are counting on to achieve victory or at least draw Israel into a prolonged battle resulting in a no-decision, an outcome that is tantamount to Israeli loss and Arab victory. In their calculations, in their reliance on the Israeli fear factor, the Arabs have already been proven right twice; first in the Second Lebanon War in 2006 and then in the 2014 Operation Protective Edge in Gaza. In both cases Israel failed to prosecute the war to a victorious conclusion and achieved only temporary degradation of the enemy’s offensive infrastructure and meaningless international guarantees. In Lebanon as in Gaza, Israel committed only limited ground forces, relying instead on air power and precise intelligence. In both cases, it did not work. According to the Israeli generals’ report, the result of these failures is a vicious circle of lack of trust by both the civilian and the military leadership in Israel in the IDF’s ground force capabilities, a lack of trust that leads, in turn, to under-investment in the ground forces and over-reliance on air power, intelligence gathering, and special forces. This, the generals warn, must be stopped and quickly reversed, as it is clear that the next conflict will require a full-scale no holds-barred commitment of ground forces to achieve the goal of taking away from the enemy his capability to fire ballistic armaments at the Israeli home front. The Israeli public has been lied to. It has been lied to about the Arabs’ desire for peaceful coexistence, about the military’s ability to “kick the hell out of them if they break the agreements”, and about improved international support that wold give Israel more time to vanquish its enemies. These lies made Israel weaker, while making its enemies stronger. It is a historic shame that the Founder’s generation, the generation of Peres, and Rabin, and Sharon, all giants without whom Israel could never have survived, decided to end their careers and their lives by succumbing to the Utopian ideology of the left. Their motive was pure; they wanted their generation to be the last that sacrificed it all for Israel’s security and survival. Their thinking late in life was befuddled by the generation that followed them, one that lived off the bounty of their great works, the generation of sleazy political operatives like Ehud Olmert and Ehud Barak. Now it is time that Israeli public be told the truth; Israel’s amazing success does not make her less vulnerable. On the contrary, it enrages her enemies and makes them even more motivated to destroy her. No “peace” overtures can possibly work while Hamas and Hezbollah and their sponsors in Tehran have made war with Israel their main business, both figuratively and literally. Most importantly, Israelis must restore the status quo ante, in which when Israelis put on their olive uniforms and took up their rifles, they knew that their lives were no longer their own, but the lives of their loved ones back home were safe. Restoring this balance will require personal courage from every Israeli and political courage from Israel’s leaders. Every generation of Zionists for the past 150 years have proven equal to the task. This one will be no exception.